Have you had your eye on the luxurious 2019 Mercedes-Benz GLE SUV, but aren’t sure which trim level meets your exact specifications? 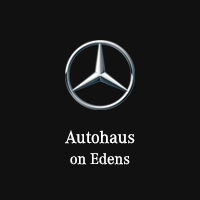 The Mercedes-Benz experts at Autohaus on Edens in Northbrook, IL completed the research for you to compare all the available features with the 2019 GLE SUV in the following page. If you’d prefer to speak directly with a product specialist at our Mercedes-Benz dealership, contact us at (847) 272-7900. The 2019 Mercedes-Benz GLE 400 4MATIC®️ is the only model in the 2019 GLE SUV lineup available as an SUV. Take advantage of the confident exterior stance and ample interior comforts to help elevate your daily drive. 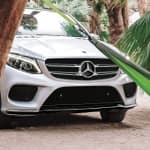 The 2019 Mercedes-Benz AMG®️ GLE 43 features the sleek roofline of the Coupe body style, while maintaining the interior space you need to accommodate your busy schedule. Equipped with all the latest technology features you require, the 2019 AMG®️ GLE 43 will not disappoint. 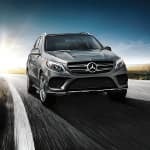 Featuring a sleek design inside and out, the 2019 Mercedes-Benz AMG®️ GLE 63 has what it takes to turn heads on the road. Complete with a sporty interior and performance-like handling, you’ll be making excuses to get behind the wheel. If you aren’t willing to sacrifice unparalleled performance for the interior space of a Mercedes-Benz Coupe, then the 2019 Mercedes-Benz AMG®️ GLE 63 S is the ideal choice. Featuring breathtaking power and an endlessly luxurious cabin, the 2019 AMG®️ GLE 63 S is built to impress. 0-60 MPH in 4.1 sec.